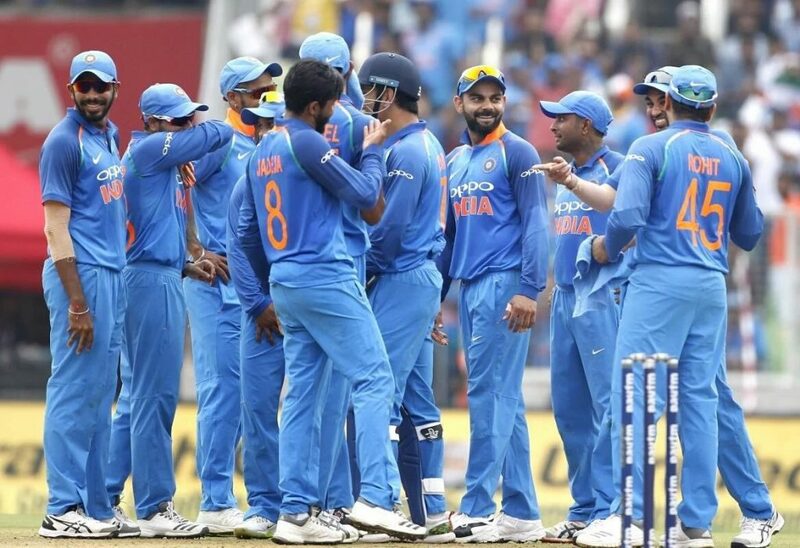 After the Test and ODI series, the hosts India and the visitors’ Windies have now shifted their focus on the three-match T20I series that will begin on Sunday (November 4) at Eden Gardens (Kolkata). After winning the Test (by 2-0) and ODI series (by 3-1), the no.2 T20I ranked team India is now set to start the T20I series against the no.7 T20I ranked team Windies. India is currently in a brilliant form in the T20I cricket. Since July 2017, India hasn’t given away any T20I series or tournaments. Though the run-machine and skipper Virat Kohli has been rested from this series, it’s not a big issue for another in-form cricketer and stand-in captain Rohit Sharma as he has now used to with this situation. Under his captaincy, India won the Nidahas Trophy in Sri Lanka in this March. Most of their players are in-form in the limited-overs cricket. The pacers and spinners both are doing great jobs while the top-order batsmen are in the dangerous forms. 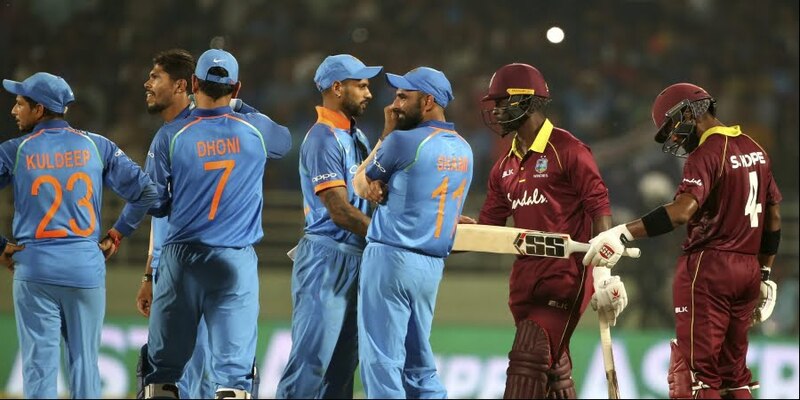 Though Windies are known a very good T20I side in these days as they are the two-time World T20 champions – the only team to win this tournament for more than once, the players’ issues have been seen now in this format too. While their most of experienced cricketers are not available for this series, Evin Lewis, Ashley Nurse and Andre Russell have been ruled out from this series despite getting selected. Lewis has opted out himself for personal reason, while Nurse has been ruled out due to a shoulder injury that he suffered during the fourth ODI in this tour. Just one day ahead of this T20I series, Russell has been ruled out from this series due to an injury, who hasn’t reached India yet, according to some reports. 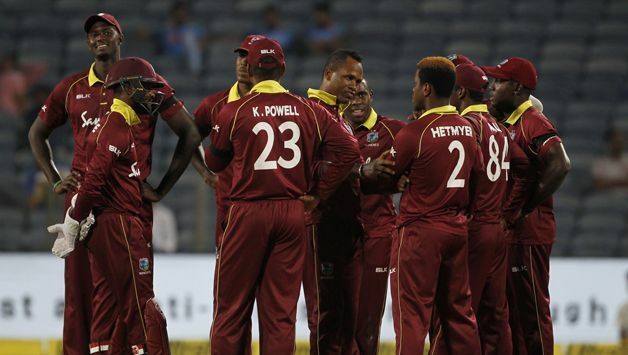 As the skipper Carlos Brathwaite, Darren Bravo, Kieron Pollard and Denesh Ramdin have joined with some existing squad members, it is still expected that they can put enough fight against a strong T20I side like India. At Eden Gardens (Kolkata), India has played two T20Is that resulted in one victory and one defeat for them, while Windies has played only T20I and has won that game. Indian skipper Rohit Sharma (2,086 T20I runs) needs to score 17 more runs to surpass Virat Kohli’s 2,102 T20I runs and to become the leading T20I runs scorer for India. Indian opening batsman Shikhar Dhawan (977 T20I runs) needs to score 23 more runs to complete 1,000 T20I runs. 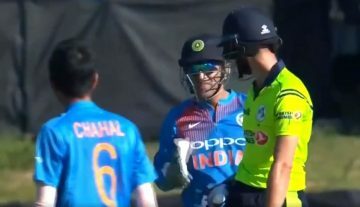 WATCH – Why Dhoni Said No For DRS On A Plumb Dismissal?